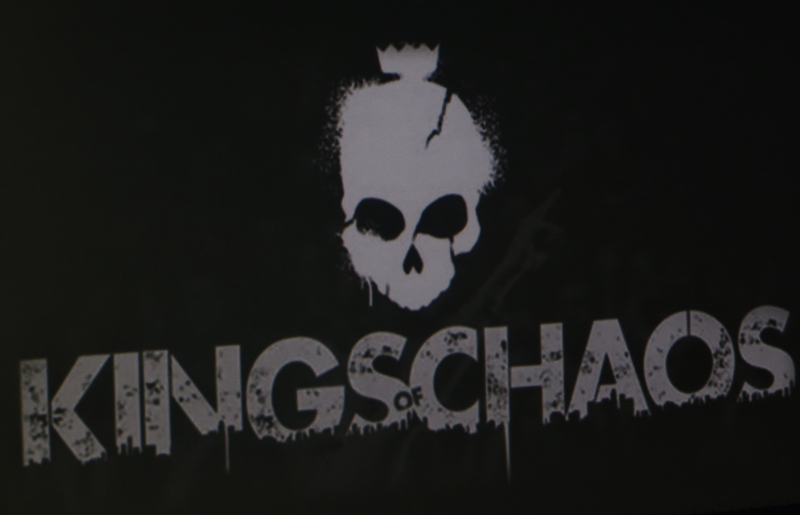 International collaboration outfit Kings of Chaos returned to Sun City South Africa this weekend to continue where they left off in 2013. This time around Gilbey Clarke (Guns N’ Roses), Duff McKagan & Matt Sorum (Velvet Revolver), were joined by Billy Gibbons (ZZ Top), Nuno Bettencourt (Extreme), Robin Zander (Cheap Trick) and the irrepressible Steven Tyler of Aerosmith. Last time out Duff McKagan & Matt Sorum were joined by Joe Elliott (Def Leppard), Myles Kennedy (Alter Bridge), Glenn Hughes (Deep Purple), Dave Kushner (Velvet Revolver), Slash (Guns N’ Roses) and Ed Roland (Collective Soul). It would have been awesome had they all come back, but Steven Tyler more than made up for the missing artists. The ticket prices were pretty steep; it’s the most I’ve ever forked out for a concert performance. However it was worth every cent to see old-time rock favorites like More Than Words, La Grange, I Don’t Want To Miss A Thing, Mr. Brownstone, Whole Lotta Love, Tush, Surrender, Cheap Sunglasses and Walk This Way, being performed live. The stage backdrop and lighting was far more lively and interactive than last year. I could not take any photos as I was on the floor in front of the stage head-banging like a boozy teenager. It was actually sad to see so many people looking into their smartphone cameras trying to record the performance, rather than just enjoying the spectacle. And it was good to see quite a few older folk (like me) also at the concert, some of whom that can still shake that booty. The tedious drive back in the rain to the game farm we booked in at was a schlep in the early morning hours, especially after missing a turn in the pitch darkness and getting lost, but it’s hard to wear off the kind of euphoria one is left with after a great concert. If they return next year, I don’t think I could stay away, especially if they bring Steven Tyler back. Check out some of the photos taken by the media here. This entry was posted in Arts and Entertainment and tagged Aerosmith, Cheap Trick, Duff McKagan, Extreme, Gilbey Clarke, Guns N' Roses, I Don't Want To Miss A Thing, Kings Of Chaos, La Grange, Matt Sorum, More Than Words, Mr. Brownstone, Nuno Bettencourt, Robin Zander, Steven Tyler, Sun City, Tush, Velvet Revolver, Walk This Way, ZZ Top by lennymaysay. Bookmark the permalink.